Friendly Neighborhood Comics Blog: Dungeon & Dragons Comics! IDW, under license from Hasbro, Inc. and Wizards of the Coast, will launch several all-new comic book series based on the many worlds of the hugely popular roleplaying game, DUNGEONS & DRAGONS. Following IDW’s previously established comics model, the first new series will begin with an introductory debut issue in August 2010, with new monthly comics and deluxe reprints of past series launching in November. IDW’s Dungeons & Dragons series will each offer new stories and playable characters to existing game campaigns. 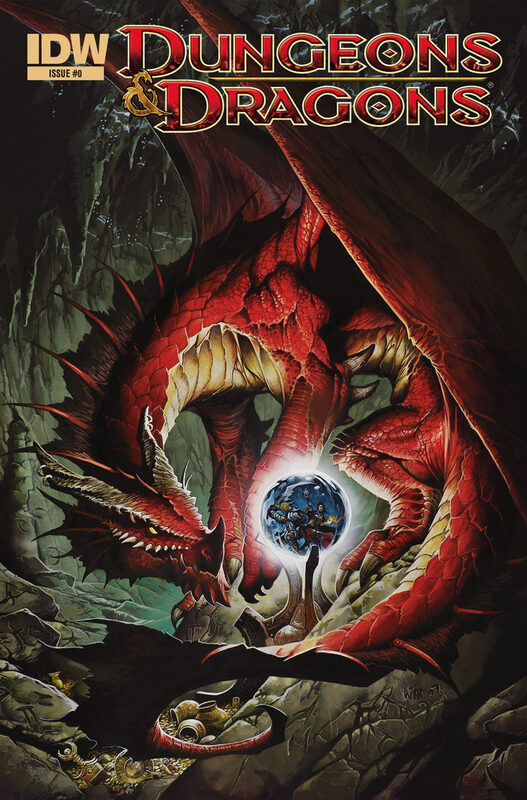 The Dungeons & Dragons title will take place in the core world, as seen in the gaming supplements and upcoming novels, followed by a Dark Sun series starting in January 2011. Plans also include a series for the longtime fan-favorite Forgotten Realms setting. Each comic book will also be collected at intervals into graphic novels. Acclaimed fantasy painter Wayne Reynolds will supply covers for the launch of the new series. IDW Publishing is Hasbro’s comic book licensee for TRANSFORMERS and GI Joe.